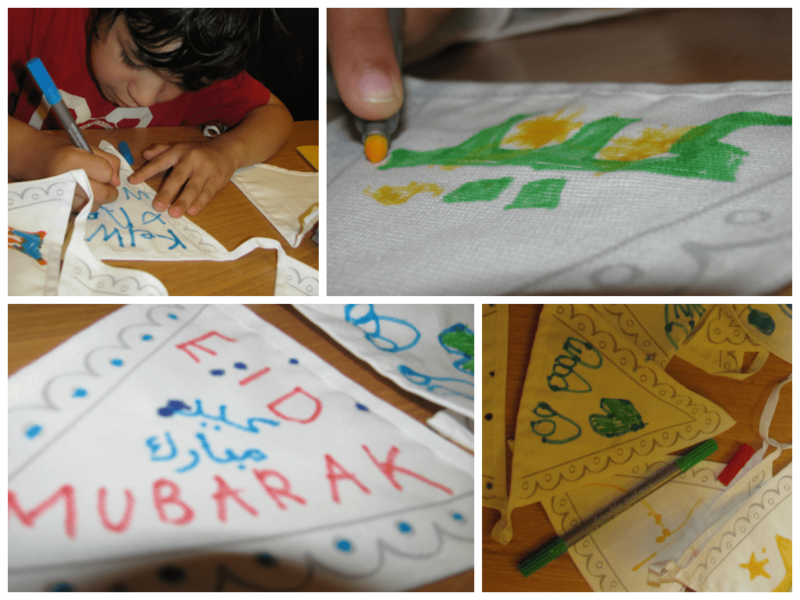 We were recently sent a Doodle Bunting kit from Gifts4Gifts which is great timing with Eid coming up this week, as I love to make Eid decorations with the kids to help get them excited. In previous years I have bought some banners and hung them up, which I may still do to decorate other rooms, but it is always more fun to involve the children in making the decorations too. I love the idea of this bunting, it is fabric which is much better than getting the children to decorate paper bunting or banners as that can rip and tear so easily – either when they are decorating it or while it is hanging. 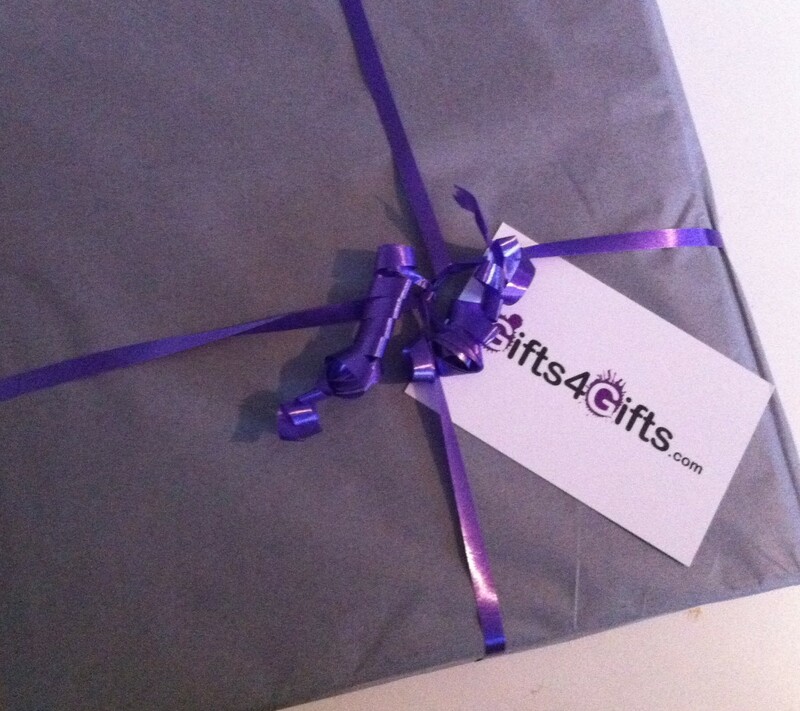 This is much more durable, and the bunting is all washable so you can re-do it as many times as you like! Very convenient, and environmentally friendly and less wasteful too! 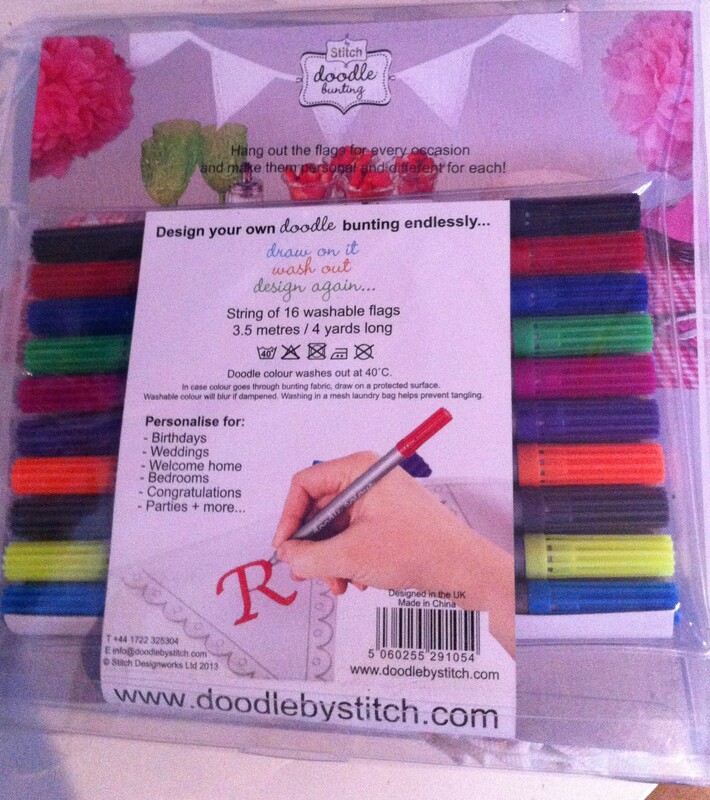 Back of the pack showing the washable fabric pens which are included. The boys were all very happy to join in with this activity as they love to do colouring. The bunting is long enough for them to have sections each and all join in together at the same time. 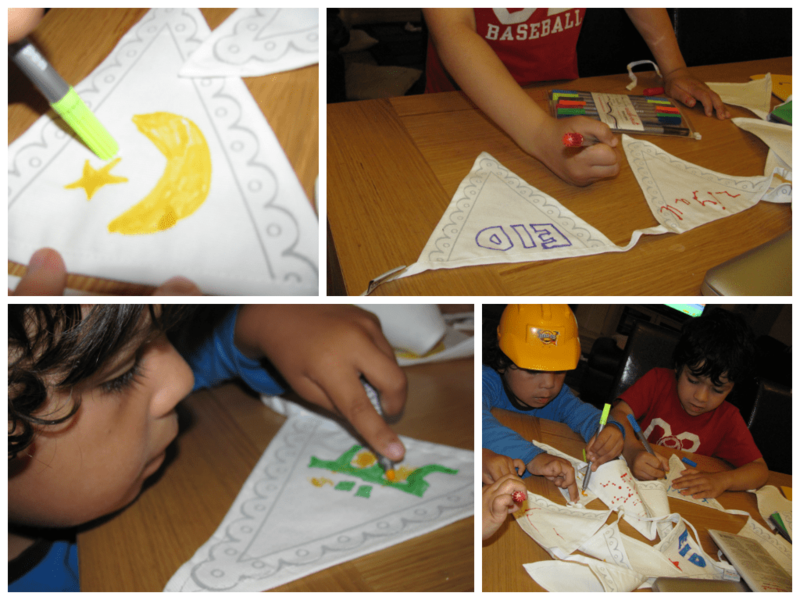 The doodle bunting has 16 flags and is 350mm long and made of 100% Cotton. If you had a lot of children wanting to join in you could easily stretch this out and 16 children can join decorating one flag each – if you were using it in a playgroup or mums and toddler group for example. We did a variety of designs over each flag. Eid Mubarak in English and Arabic, the word Eid written really large, stars and crescents, and picture of a mosque. The children also wanted to add their own original touches so some of the flags Mr Z has written his name, or some sentences and phrases and some of the flags Mr T and Mr R have scribbled on a bit. I don’t mind as I feel it is their project, let them have their own input into it although it won’t come out with a professional finish. The process and activity is the most important for children’s artwork and projects to me, more than the end result. If you wanted to structure it more and get the most effective design to hang up, it will probably look nicest to spell a message all the way across, you can easily fit something like Happy Eid and then put some stars or other designs on the spare flags in the middle and at the ends. I found this really easy to hang, as I have some lights on my wall which I can use so I don’t even need to put hooks but otherwise I would suggest either small pins, or the small clear adhesive wall hooks you can get. I had some from Amazon to hang my Cable and Cotton lights. 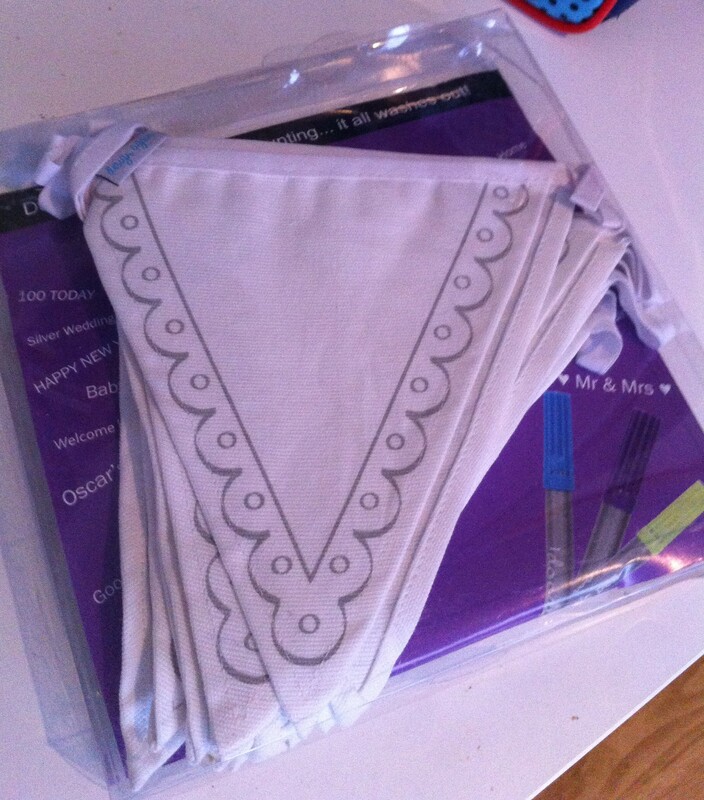 This Doodle Bunting kit is £12.99 from Gifts4Gifts.com and I would definitely recommend it as a great activity. It will be ideal for birthdays and other occasions too, but I felt its great for Eid as we don’t always have a massive variety of decorations available in the shops with it not being a Muslim country so this is a great solution to make your own! You also get a much more unique result, as when you get the shop bought Eid banners, let’s face it nearly everyone ends up with the same ones! I would love to see pictures if any of your kids are decorating the place for Eid, feel free to share any of your decorations with me over on my Facebook page so we can all share ideas. Love the fact that you can decorate it yourself and then wash it out to redesign – great idea! Aww, it’s so lovely to have the boys involved in decorating your house for Eid. They look like they enjoyed it too! This looks such great fun, and are they really reusable! 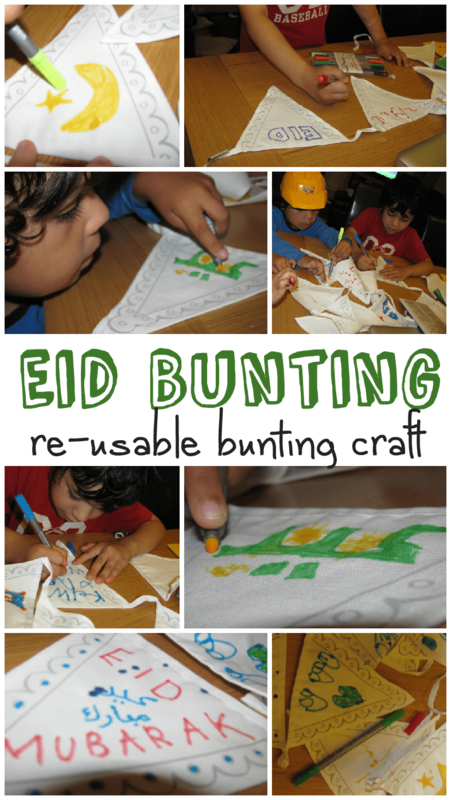 What a great idea – I can see lots of different uses actuallt and great that the boys could help make some decorations for Eid. What a nice idea and it’s always good to let them just get of with drawing themselves, I’m always hopeless and “help” with certain bits to make it look better. muslimtoysanddolls.com has the largest selection of eid decorations of any website with over 250 different eid decorations.we are also a charity site and are a great resource for homeschooling the Muslim child.